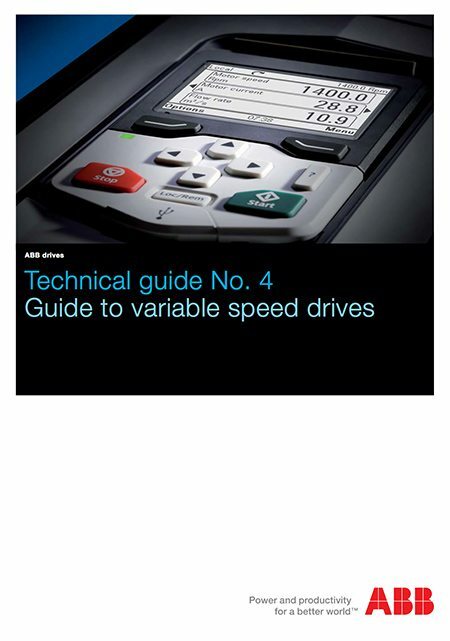 This guide continues ABB’s technical guide series, describing different variable speed drives (VSD) and how they are used in industrial processes. Special attention has been given to electrical VSDs and especially to AC Drives. The guide tries to be as practical as possible. No special knowledge of VSDs is required, although basic technical know-how is required to fully understand the terms and descriptions used. To understand why variable speed control is necessary, we first need to understand the requirements of different processes. These processes can be divided into two main categories; material treatment and material transport, although there are many different sub-categories that come under these two basic headings. Common to both main categories, however, is the need to be able to adjust the process. This is accomplished with VSDs. This chapter describes the main industrial and non-industrial processes using VSDs. Industrial processes are numerous, and the list above mentions just some of the industrial segments with VSD processes. What they have in common is that they all require some kind of control using VSD. For example, in air conditioning applications (part of HVAC), air flow requirements change according to the humidity and temperature in the room. These can be met by adjusting the supply and return air fans. These adjustments are carried out with VSDs. Fans are also used in power plants and the chemical industry. In both cases, the fans need to be adjusted according to the main process. 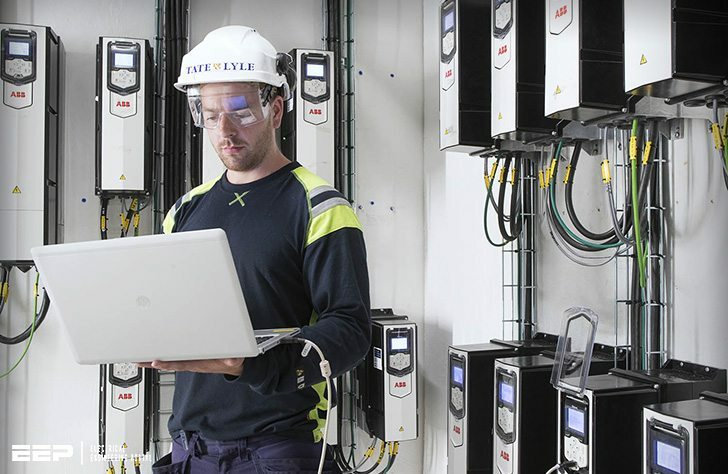 In power plants, the main process changes due to varying demands for power at different times of the year, day or week. Likewise, the need for VSDs differs according to the process. All of the machines mentioned earlier in this guide are commonly driven by electric motors. It can be said that the electric motor is the workhorse of industrial processes. In this chapter, we will take a closer look at electrical motors – especially the squirrel cage AC motor, which is the most common motor used in industrial processes.